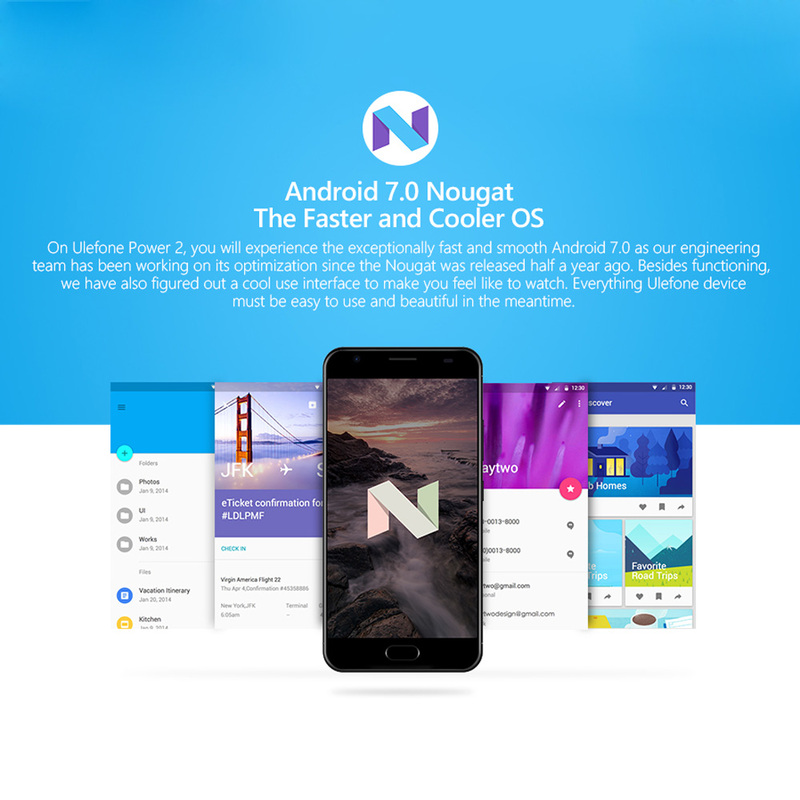 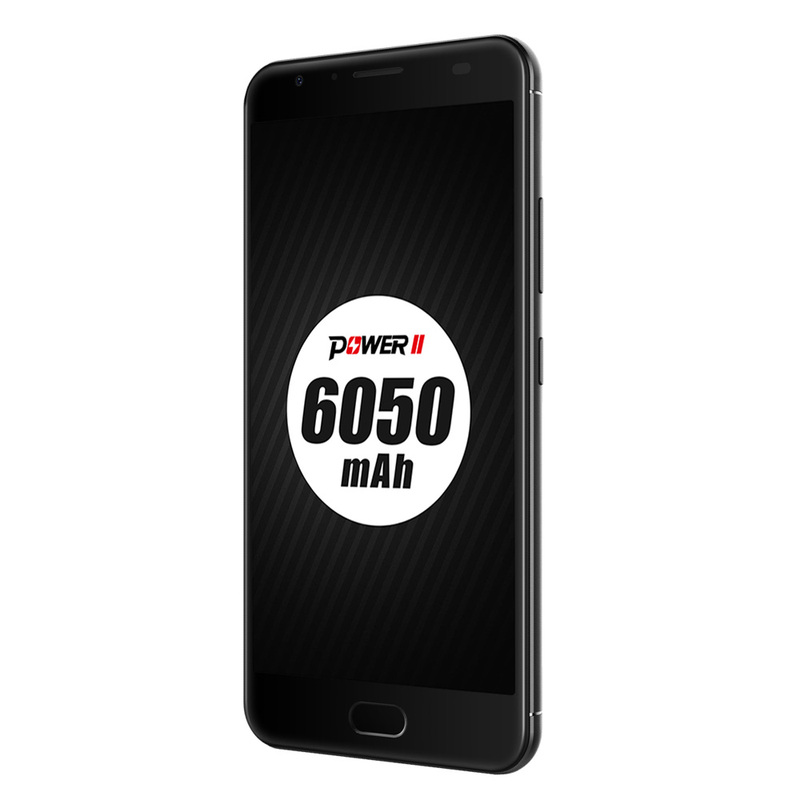 Android 7.0 with 1.5GHz MT6750T, Octa-core processor and 4GB RAM 64GB ROM ,supports 2G 3G 4G network. 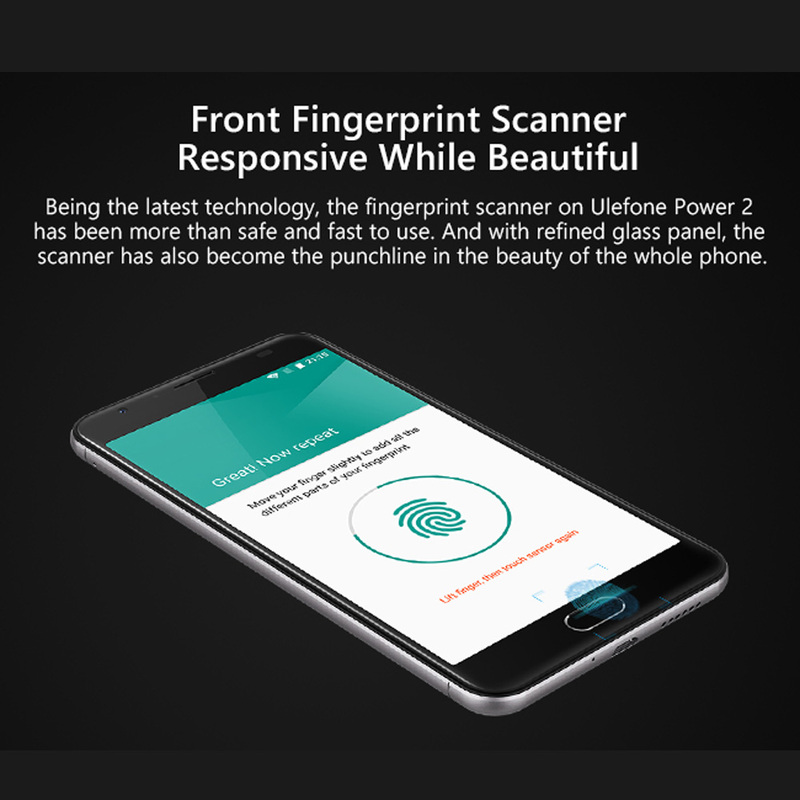 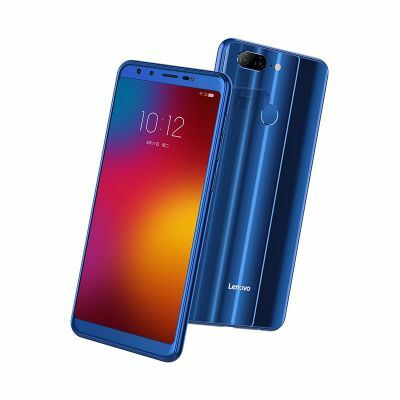 Front touch scanner to awake the phone in just 1S.13.0MP (interpolation to 16.0MP) back camera with auto focus, supports full screen mode and standard (4:3) mode. 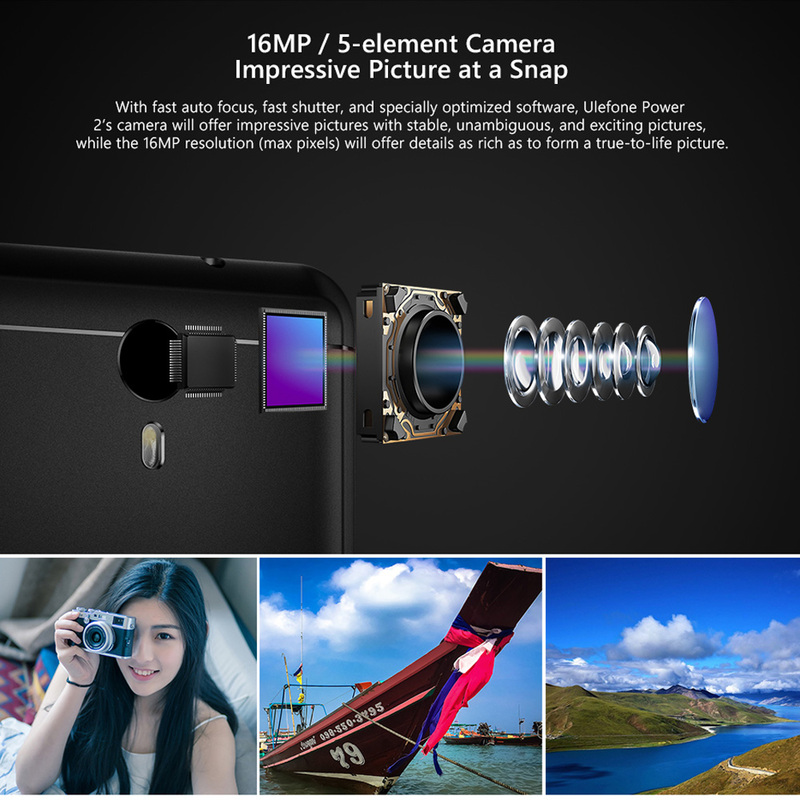 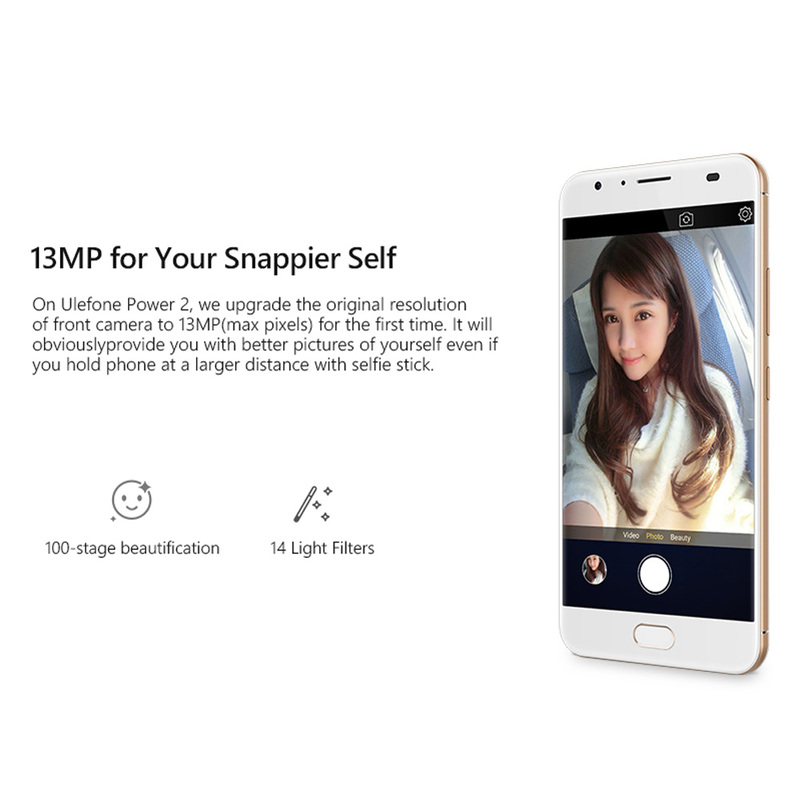 8.0MP(interpolation to 13.0MP) front camera, make your selfies more distinctive and nature. 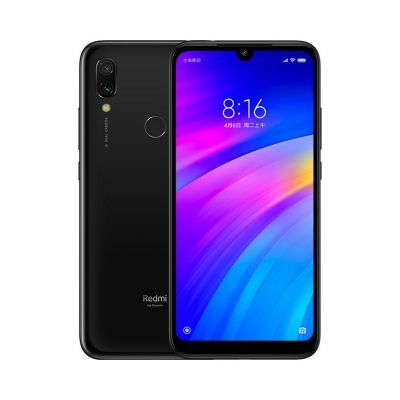 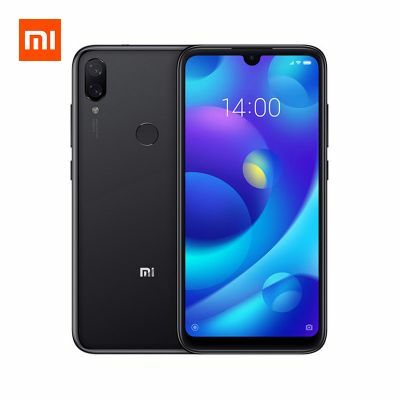 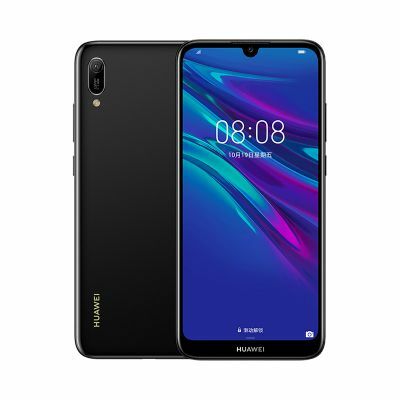 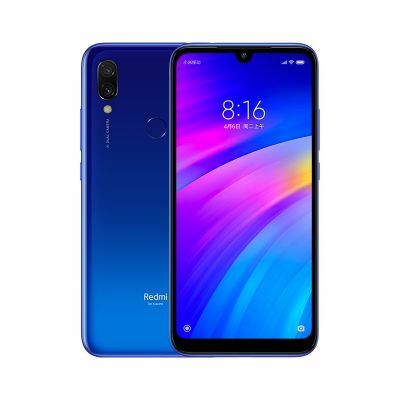 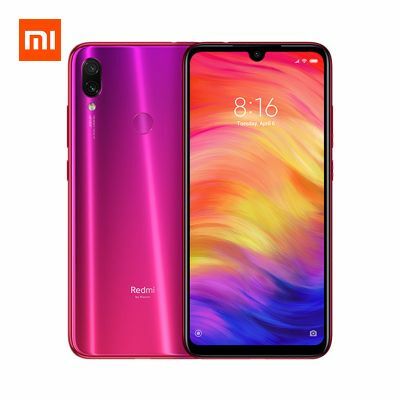 Dual SIM card dual standby(two nano sim card slot) 5.5 inch elegant 5-point-touch HD capacitive screen, with 1080 x 1920 pixels FHD screen resolution. 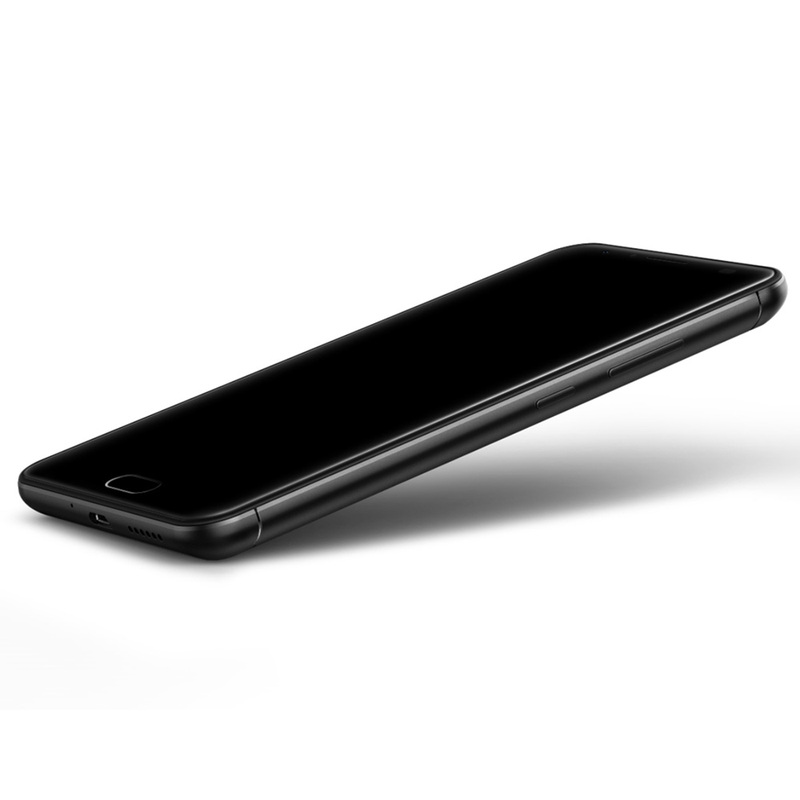 Smart gesture within my drawing. 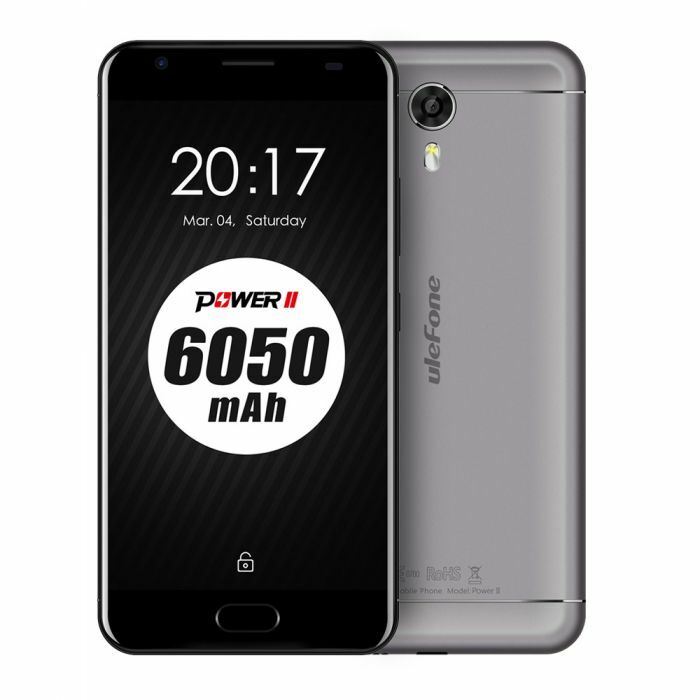 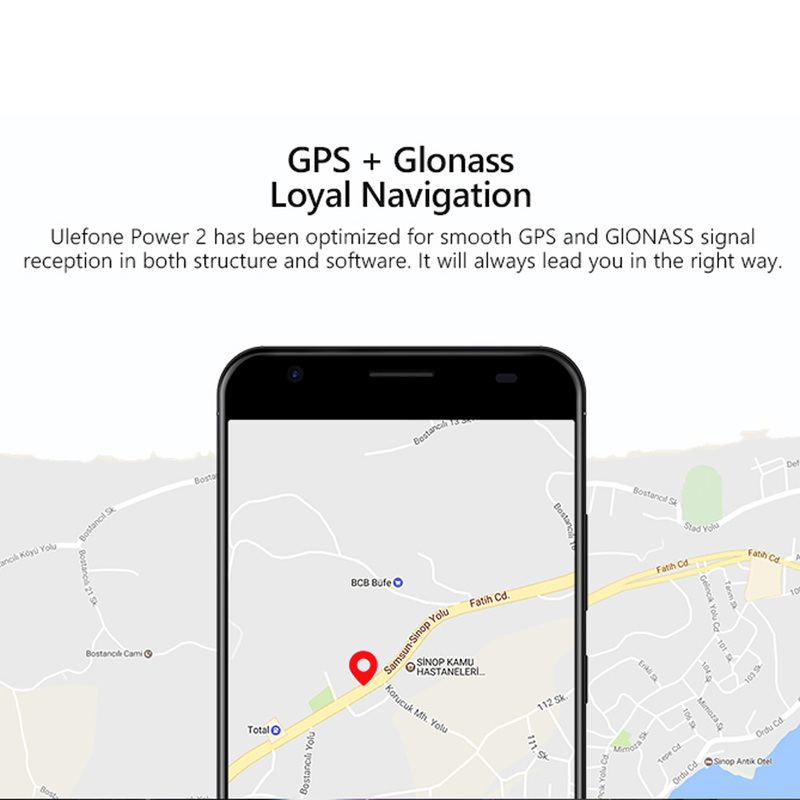 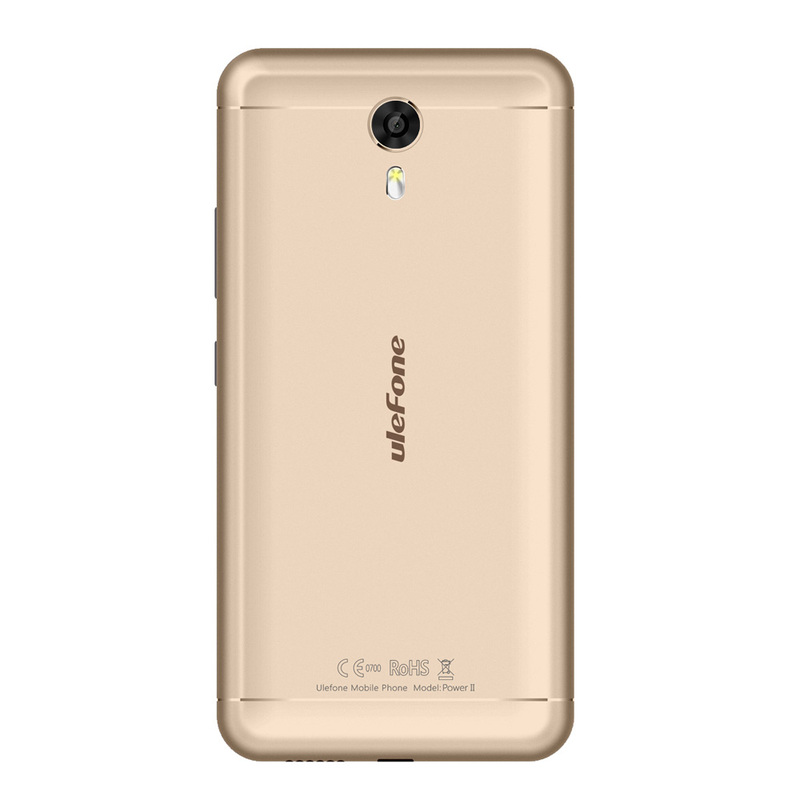 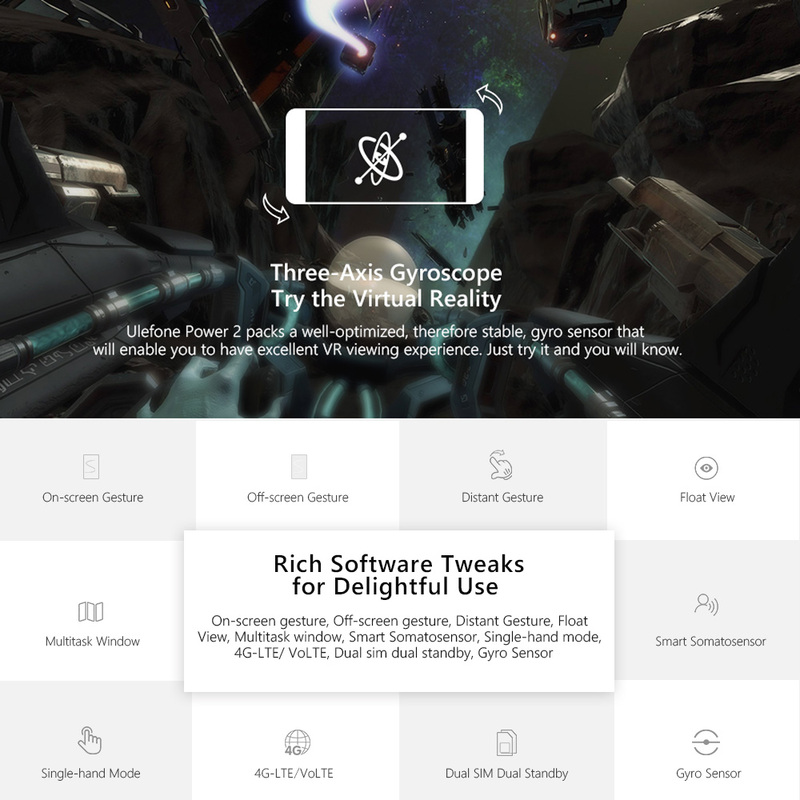 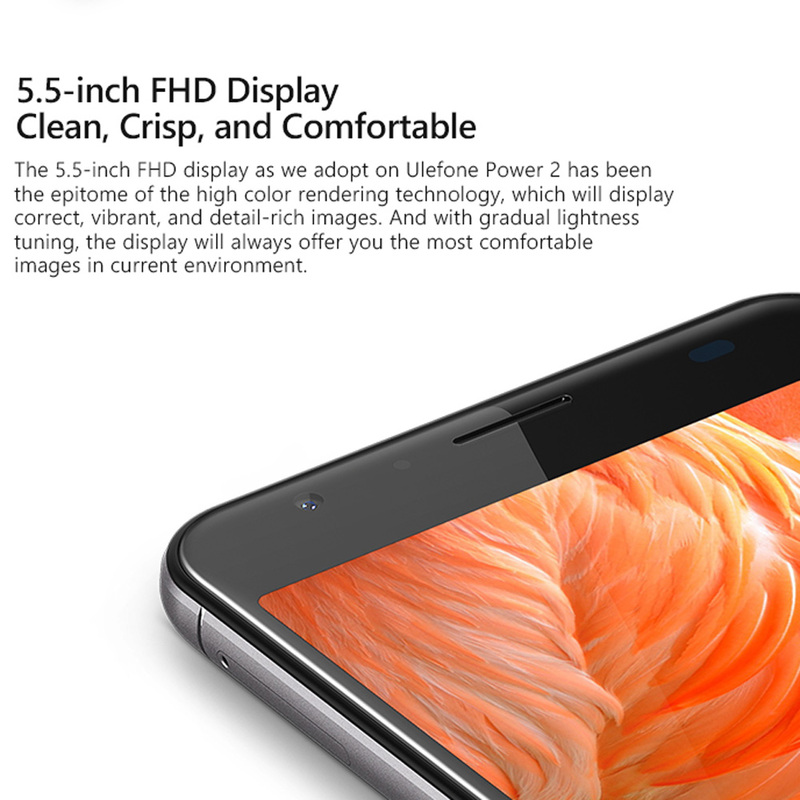 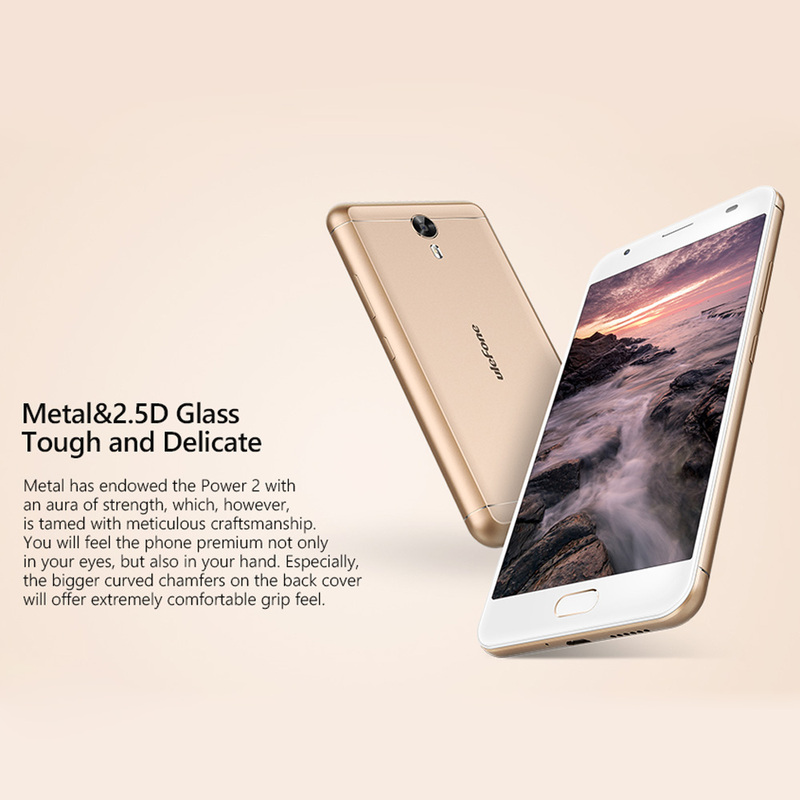 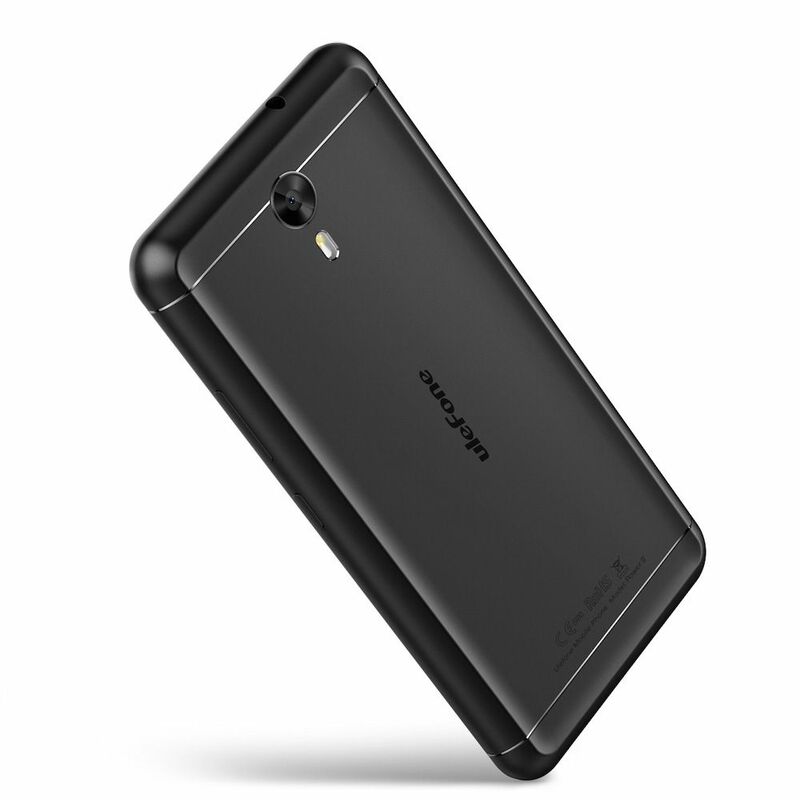 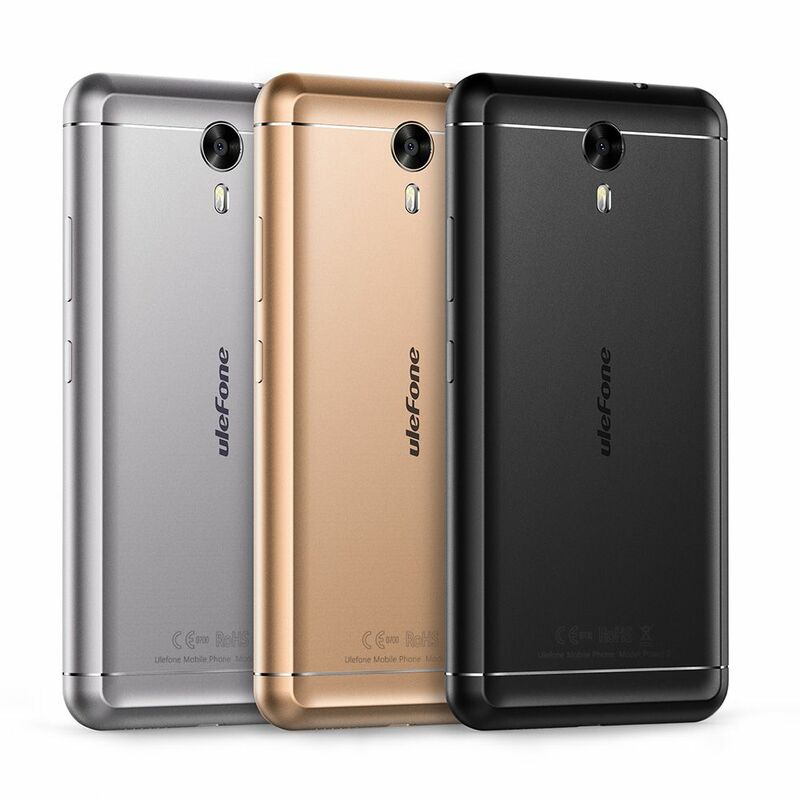 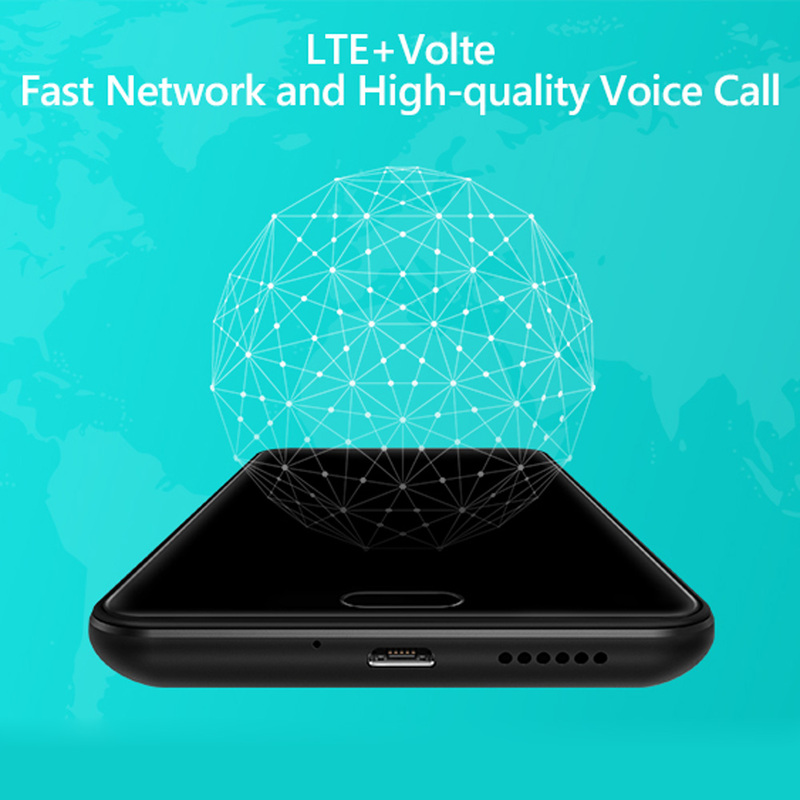 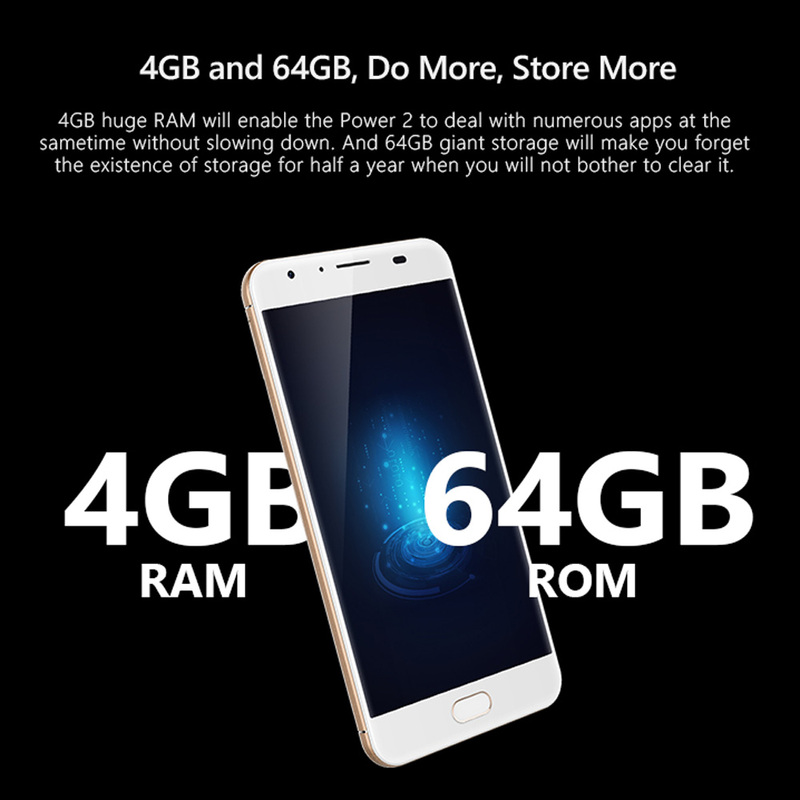 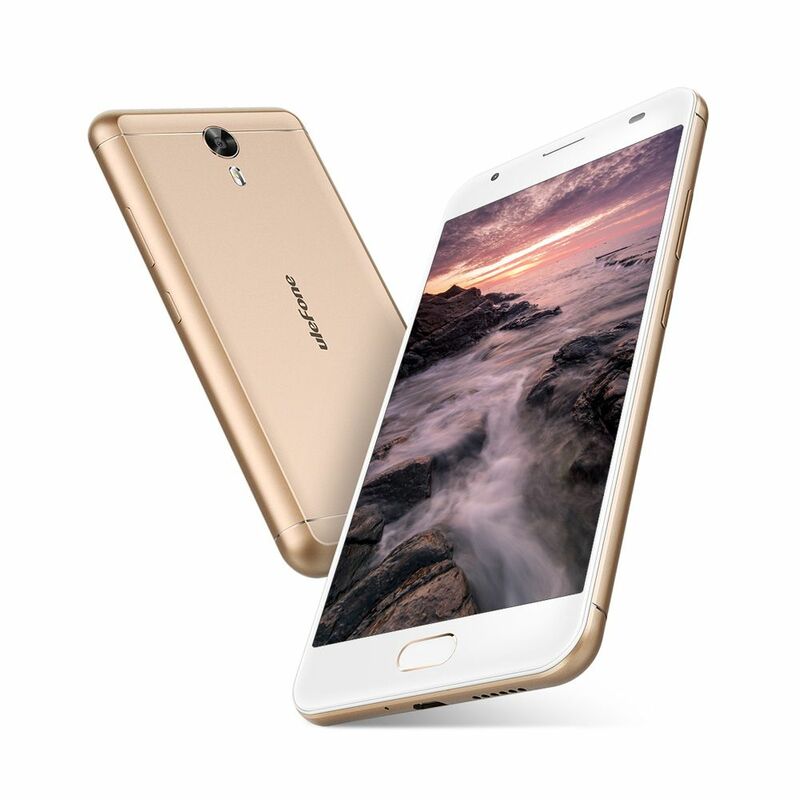 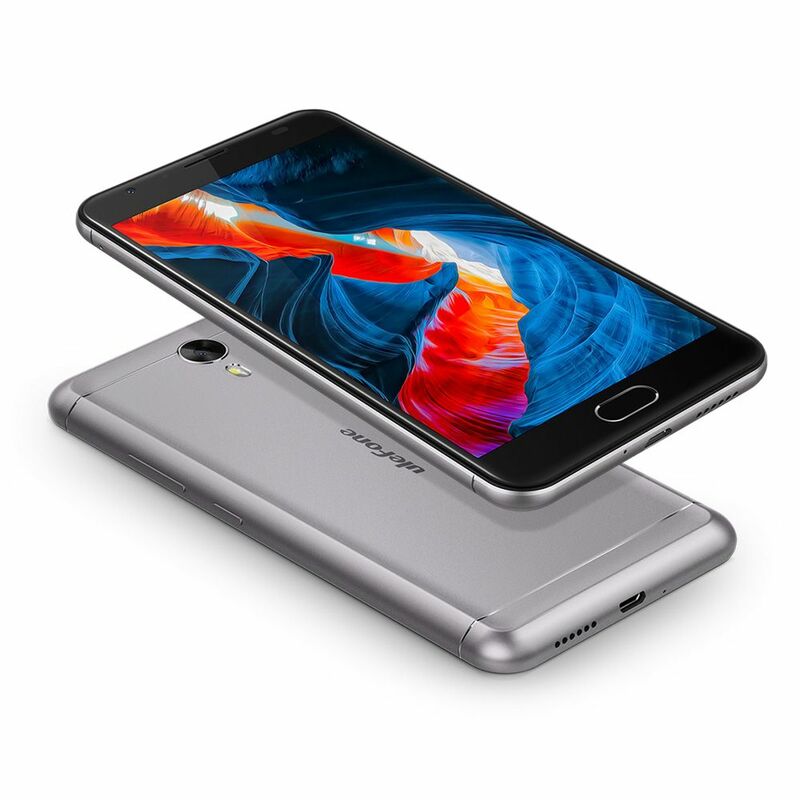 Ulefone metal comes with quick entry gestures function---smart wake.2.4GHz 5.0GHz wifi, dual frequency wifi will allow you to have free web browsing experience at home. 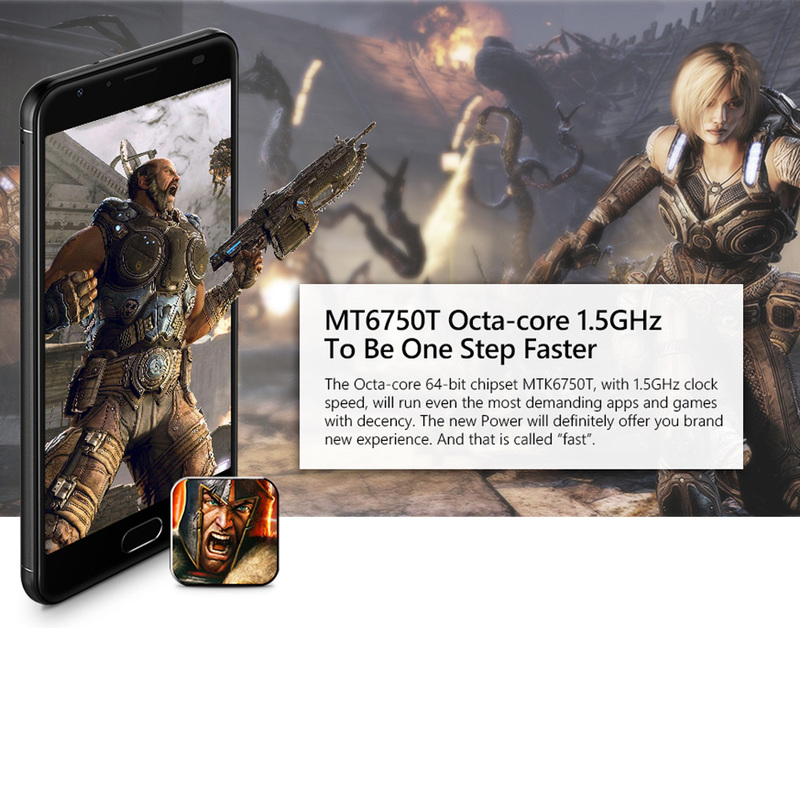 5GHz will offer better speed while the 2.4GHz will be more vulnerable to blocks. 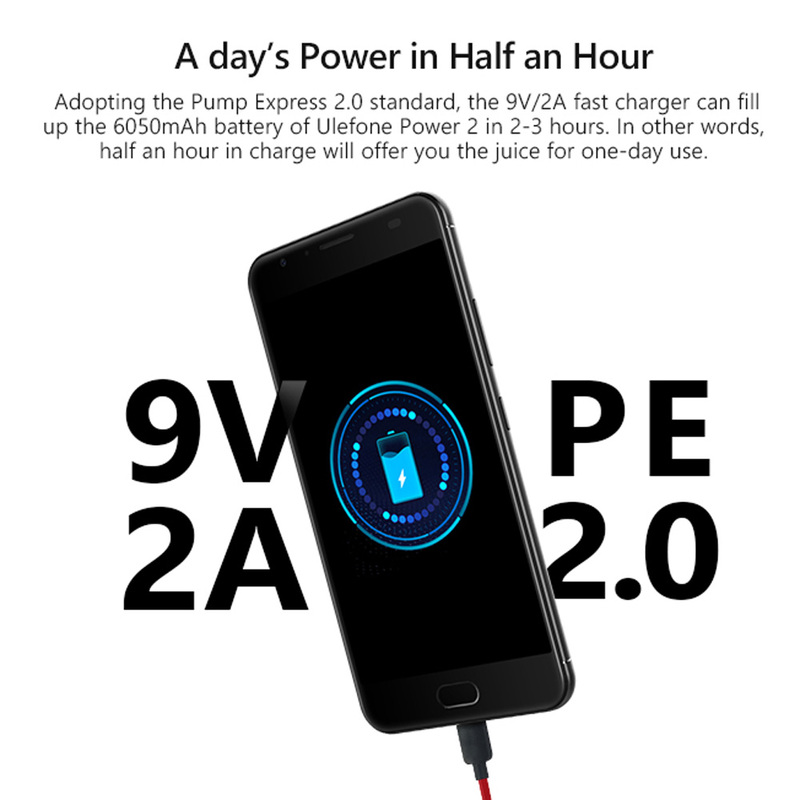 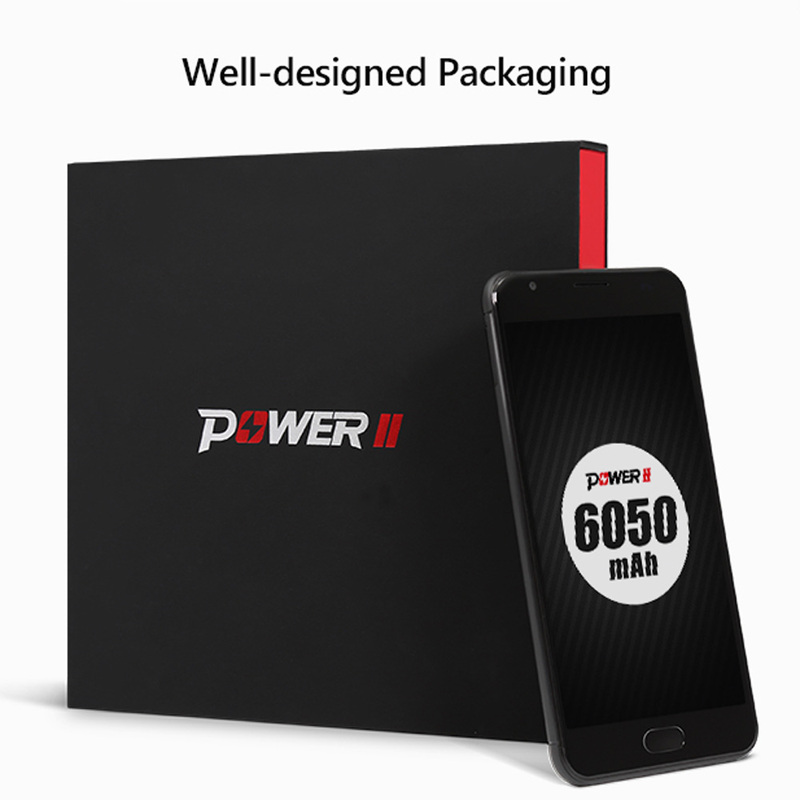 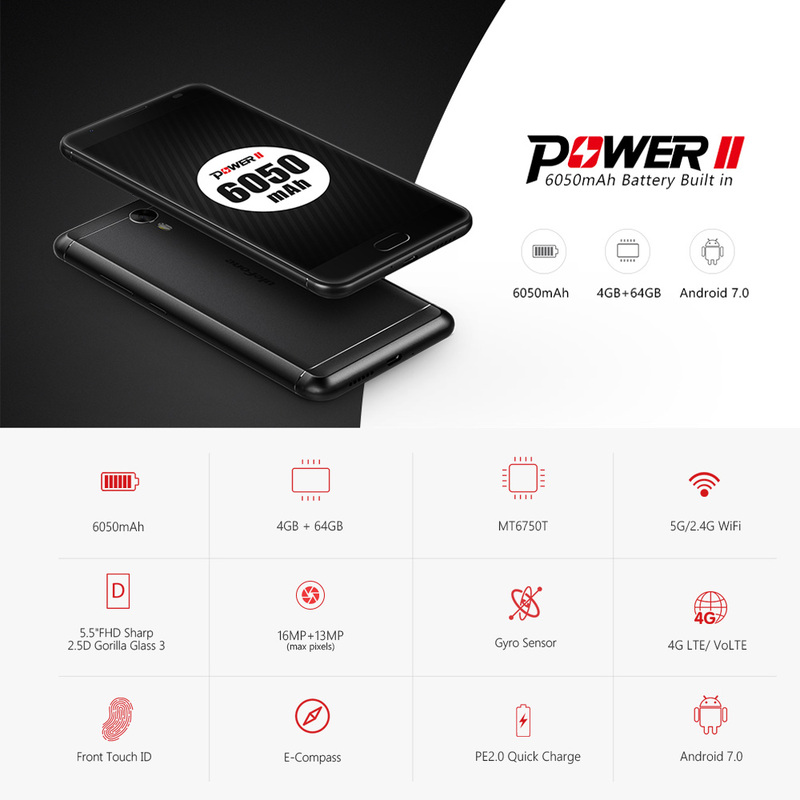 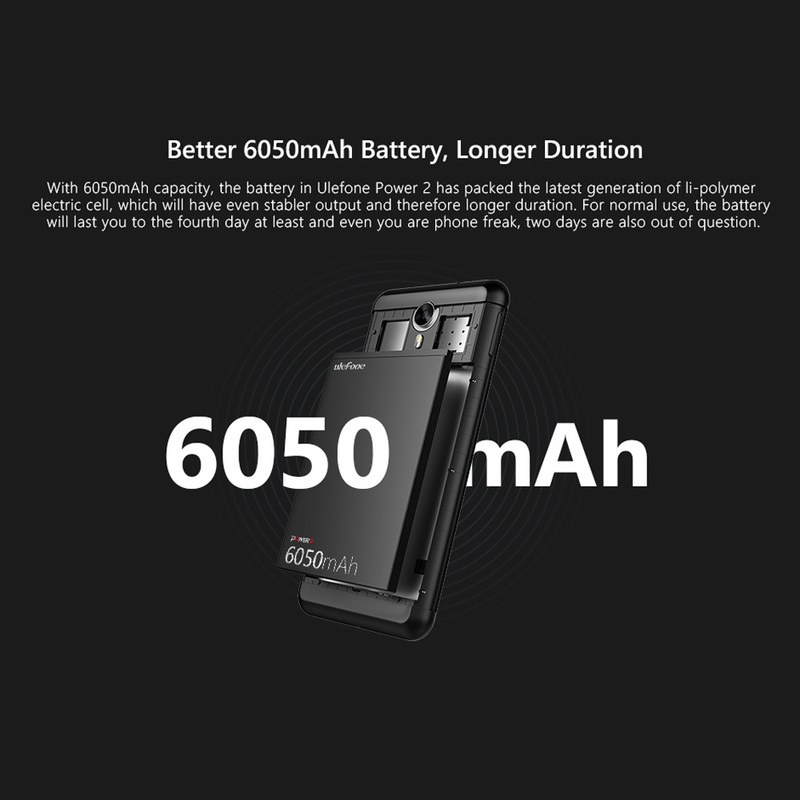 Power 2 with quick charger for 6050mAh big battery to support 5.5-inch FHD divice, which brings more convenience for you.